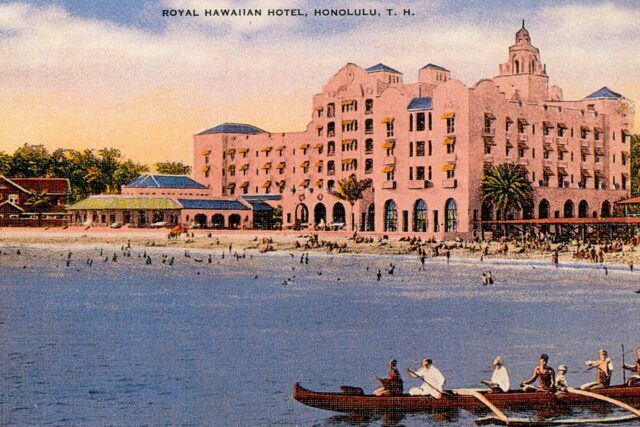 The opening of The Royal Hawaiian on February 1, 1927, ushered in a new era of luxurious resort travel to Hawaii. The resort was built with a price tag of $4 million, and was completed in 18 months. 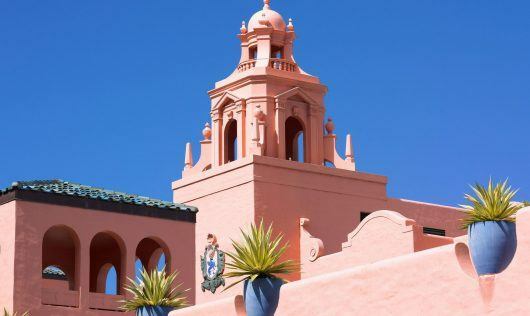 The six-story, 400-room structure was fashioned in a Spanish-Moorish style, popular during the period and influenced by screen star Rudolph Valentino. The first general manager of the hotel, Arthur Benaglia, presided over a staff of 300, including ten elevator operators and lobby boys dressed in “Cathayan” costume. Staying on-property? 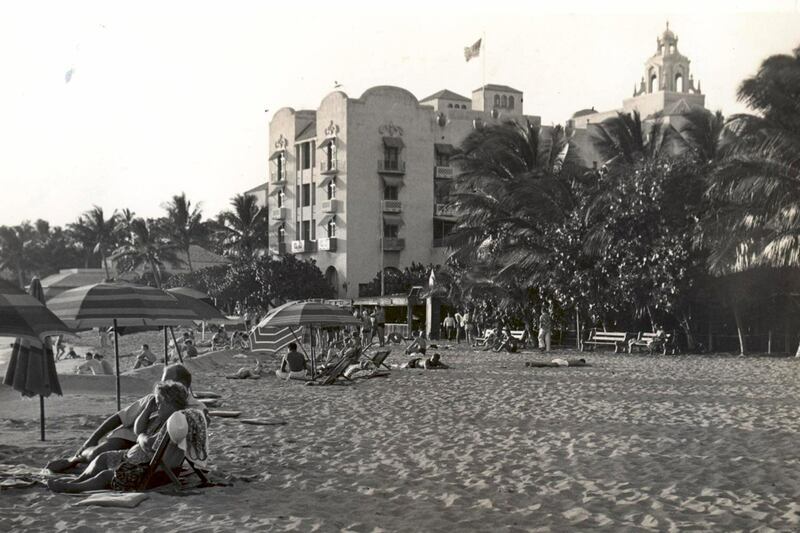 Learn more about the hotel’s history during the weekly historical tour. Join us each Tuesday and Thursday at 1:00 PM. As the world continues to progress at such a rapid rate, the upgrades continue. In 2015, the now 17-story Mailani Tower opened, gracefully bridging the sumptuous splendor of the property’s original allure, with the conveniences and comforts expected by modern travelers. 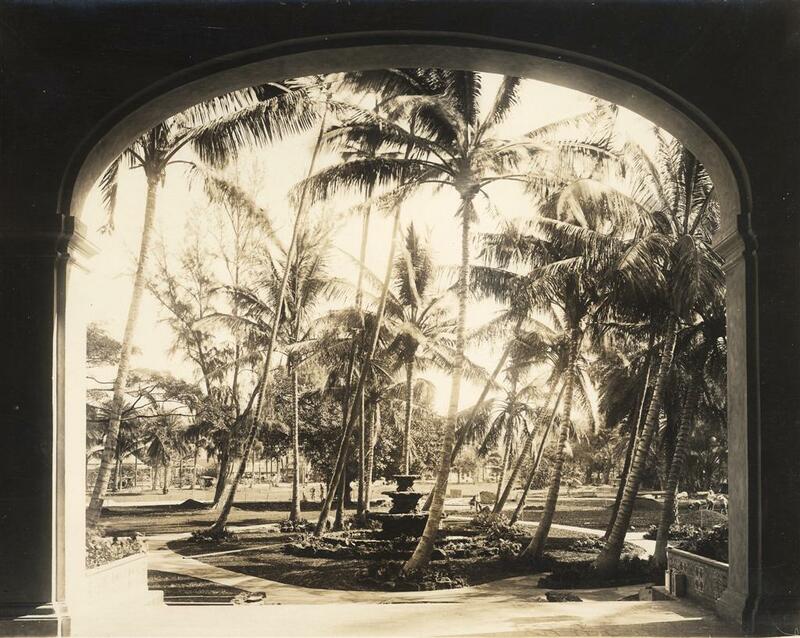 Long before Waikiki was developed as a tourist destination, it was a favorite residence and recreational center for Hawaiian kings and chiefs. King Kamehameha I had his home where The Royal Hawaiian stands today, and Queen Kaahumanu’s Summer Palace was previously located on what is now the resort’s Coconut Grove. Foreign visitors began to visit Waikiki in the 1830s, and a road was constructed in the 1860s. 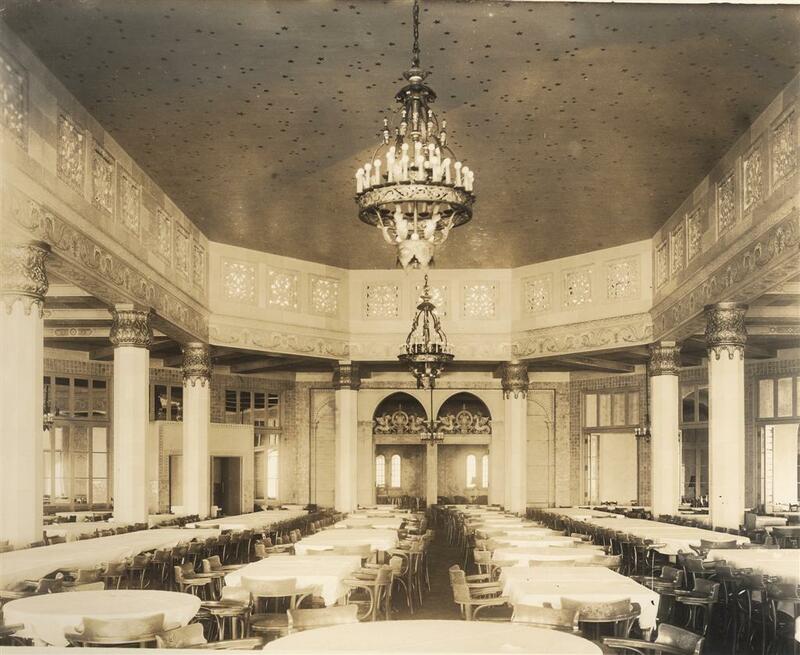 With an anticipation of an increase in visitors, the Moana Hotel opened in 1901. Simultaneously, the territorial government in 1907, under what it called the “Waikiki Reclamation Commission,” planned for greater commercial and tourism development by widening streets, building bridges, and draining the duck ponds, rice paddles, and taro patches that formed Waikiki’s aquaculture. Development accelerated after World War I. During the times of the Charleston and Prohibition, the method of transportation to Hawaii was aboard a Matson steamship, providing a rather unattractive and unappealing method of travel for the rich who could afford overseas luxury and adventure. It became known as the gateway to the exotic faraway destinations of the South Pacific and the Orient. 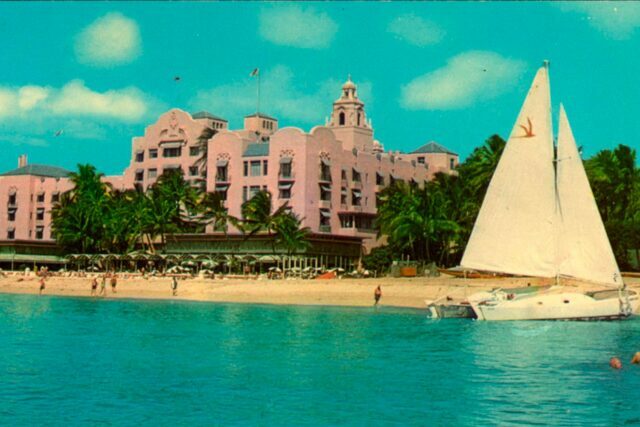 On February 1, 1927, The Royal Hawaiian Hotel opened – a $4 million investment by the Matson Navigation Co., the brainchild of Ed Tenney, who headed the “big five” firm of Castle and Cooke and Matson Navigation, and Matson manager William Roth. 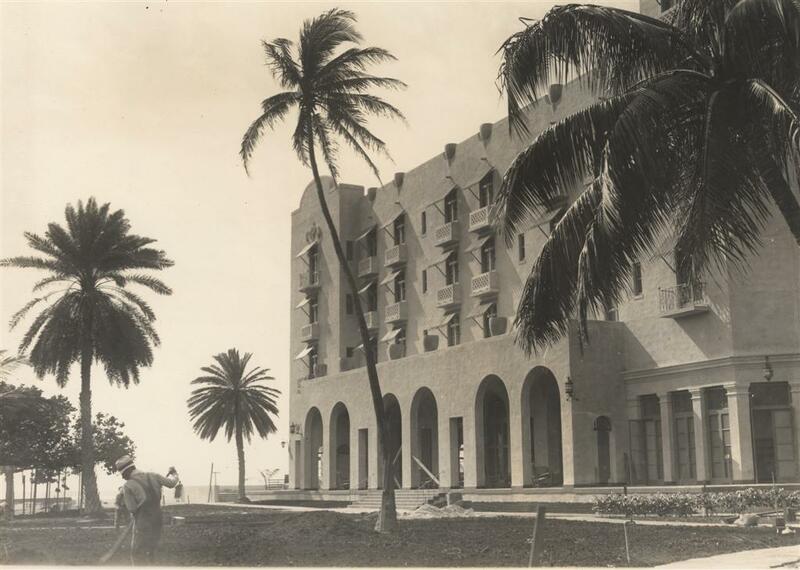 It was made to be a luxurious resort for Matson passengers. 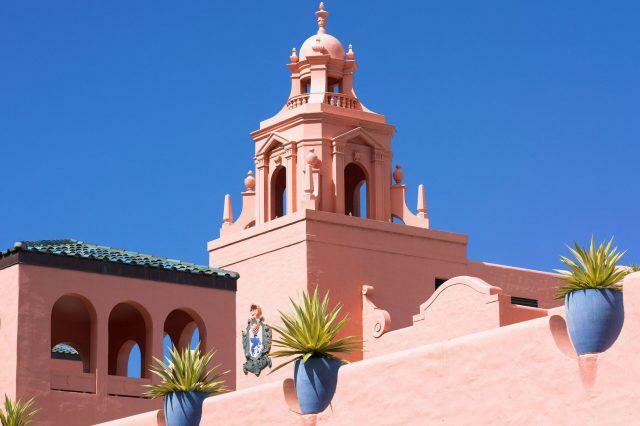 Built on 15 acres of beautiful beach frontage, the luxurious hotel with its distinctive Moorish-style architecture, painted pink, was promoted world-wide as a premier visitor destination. Elaborate opening ceremonies and festivities included dinner and dancing, concerts, and pageants. The era of opulence came to an abrupt end on the morning of December 7, 1941 when Japanese planes flew alongside Waikiki Beach on its way to the US fleet berthed at Pearl Harbor. 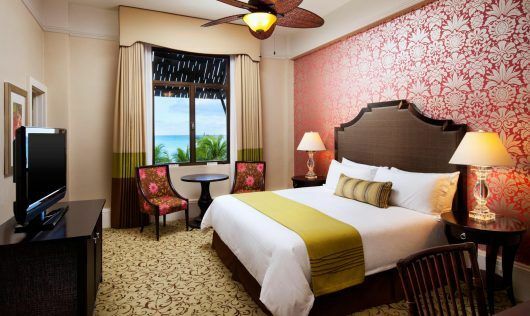 The Navy recreation and morale office leased The Royal Hawaiian, transforming the resort into a major rest and relaxation center for the Navy personnel. 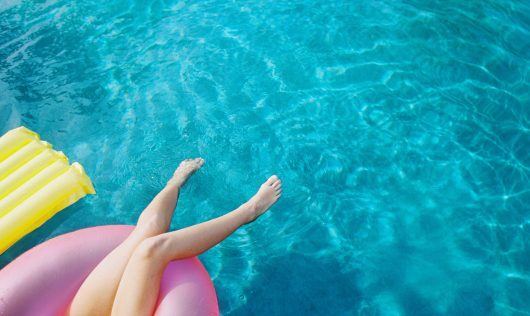 The resort was restored to its pre-war elegance in 1947. 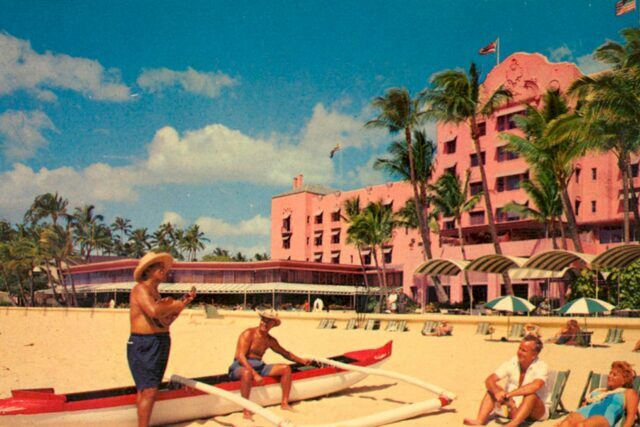 In the 1950s, many new moderately priced hotels were build in the Waikiki area, including SurfRider and Princess Kaiulani, built by the Matson Company. 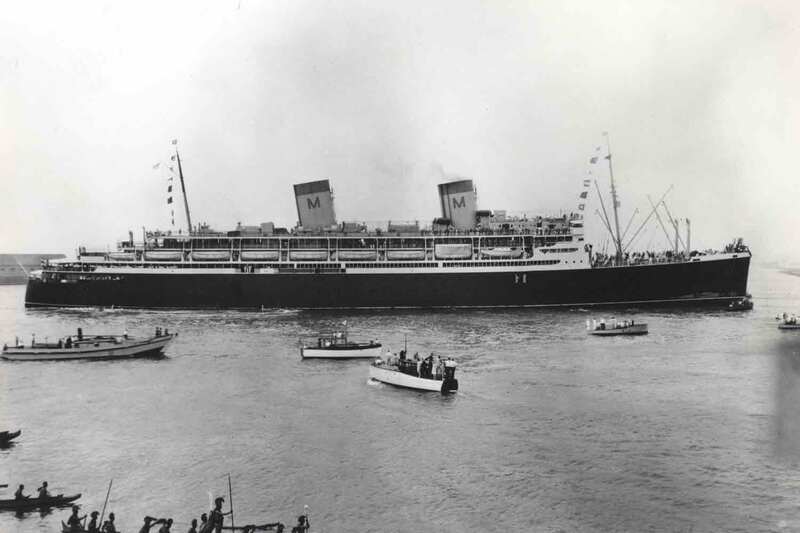 As larger and faster places reduced the flying time from the mainland to Hawaii, fewer and fewer vacationers wanted to spend 4.5 days aboard a Matson ship each away. 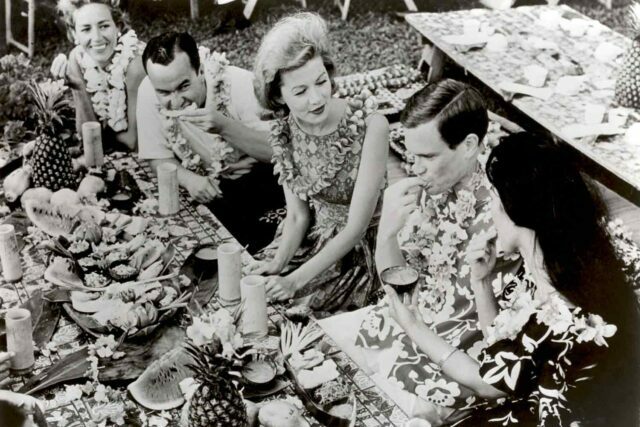 Although more than half of all the tourists who came to Hawaii in 1955 stayed in one of Matson’s four hotels, only a fifth came by ship. By 1959, jet service had reduced the flying time even more, which further eroded the steamers’ business. 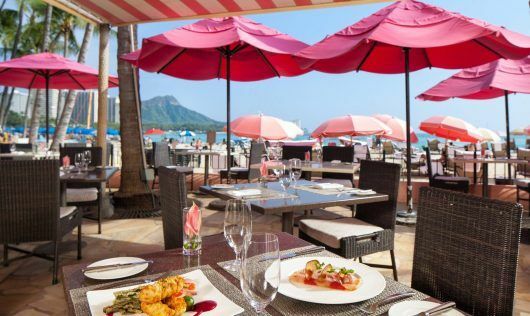 That sane year, after 32 years in hotel business, the company sold its first hotels (Moana, Royal, SurfRider and Princess Kaiulani to the Sheraton hotel chain for $17.6 million. 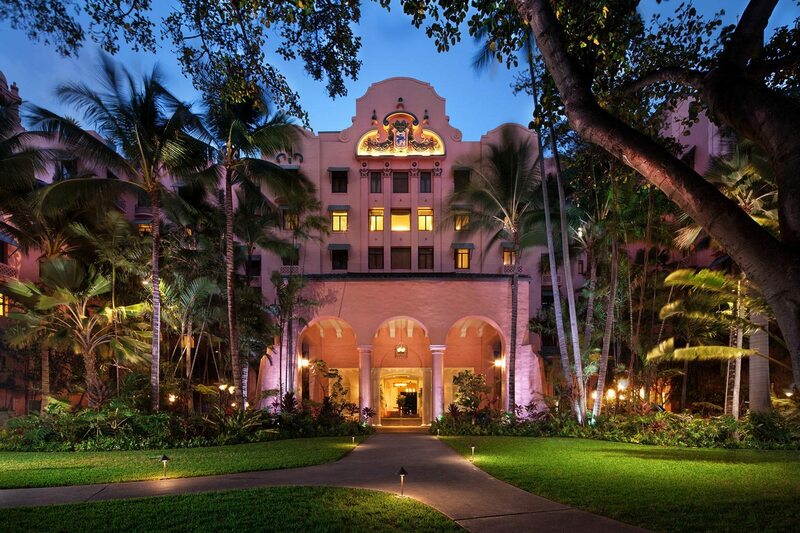 After 32 years in hotel business, the company sold its first hotels (Moana, Royal, SurfRider and Princess Kaiulani to the Sheraton hotel chain for $17.6 million in 1959. 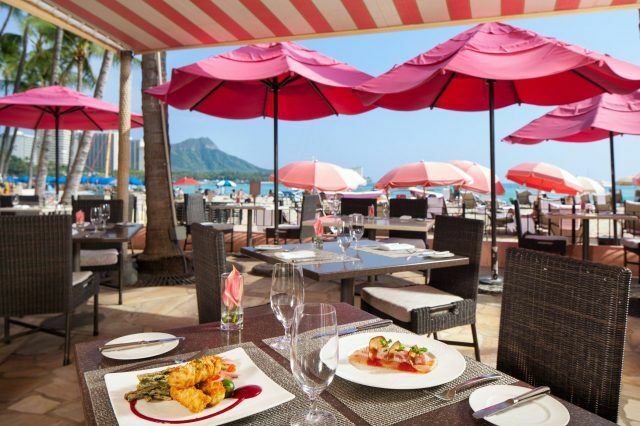 Today, The Royal Hawaiian continues to carry on the legacy of the rich heritage and distinctive character that’s known throughout the world as a destination of unparalleled romance and luxury.